I’m delighted to serve as a lead faculty member for the Certificate in Positive Psychology, an integrated, eight-month program team taught by experts in the practical application of positive psychology, a research-based branch of psychology that studies how we can thrive in our lives, work, relationships, and well-being. The course includes seven online modules and and two on-site immersions at the wonderful Kripalu Center in the Berkshires of Massachusetts. Whether you want to improve your home life, grow personally or professionally, or start a new career, the Certificate in Positive Psychology offers you in-depth study, world-class faculty, and transformative experiences. 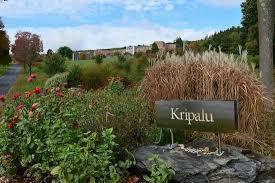 You can learn all the details about this wonderful program on Kripalu’s course page. And if you have any questions, please get in touch. I’d be happy to hear from you!